Aluminium is one of the most eco-friendly metals in the world used in a multitude of applications – transportation vehicles being one of them. They are already being heavily applied in bikes, cars, trains and aeroplanes among other means of commuting. But have you heard about bicycles being made with bamboo? A company named ‘Boo Bicycles’ combines the best of both aluminium and bamboo – two of the most sustainable materials used for building and construction – to create bicycles for high-end biking enthusiasts, racers and urban commuters. Why and how are they doing that? Let’s find out! 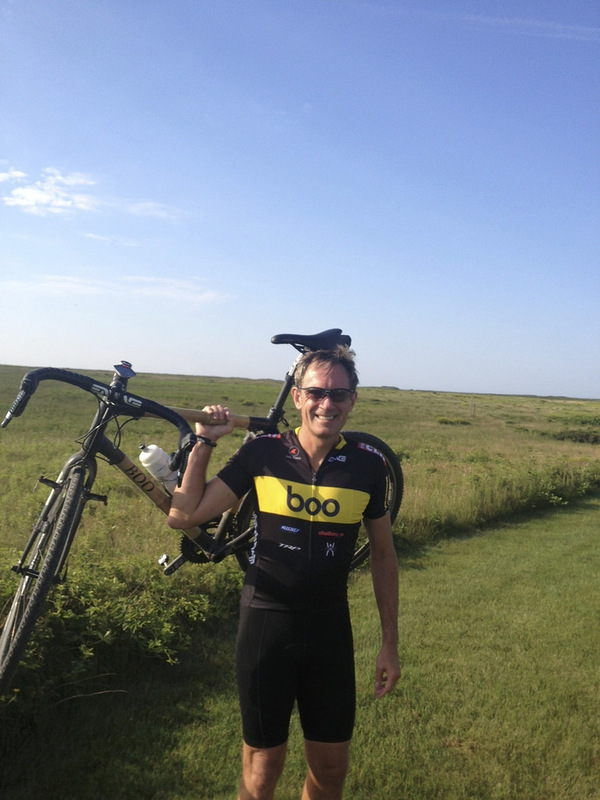 Boo Bicycles was a venture founded in the summer of 2012 by James Wolf, Nick Frey, and Drew Haugen on Kickstarter. With a goal of raising $50,000 as base capital through crowd-funding, they eventually collected more than double their target which got things rolling for this innovative start-up! Why use bamboo out of all things? To begin with, it is not just any ordinary bamboo. According to “Boo Master Craftsman" James Wolf, the bamboo species they use is called the Tam Vong bamboo. Tam Vong grows without fertilizers or pesticides. It does not contribute to soil depletion or erosion. All it needs to grow is the sun, water, and air. James, who also cultivates this special species with his team in Colorado, USA, credits the unique properties of this particular bamboo used in making high-performance machines. The Tam Vong is one of the strongest bamboo species in the world out of the 2000+ existing ones. Their origin can be traced to the unique climate of Vietnam. Tam Vong has an exceptionally high fibre density compared to other bamboos. This means it is stronger by weight than steel! It is also as stiff as carbon fibre in bending. Its amazing strength and rigidity are due to thousands of stiff longitudinal fibres in each tube of the bamboo. Tam Wong was also considered as the fibres in each tube are surrounded by an insulating material called lignin that damps vibration. So, what is the project Aluboo all about? 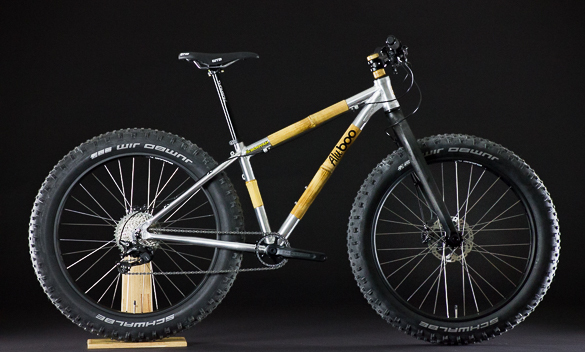 The aluminium is as important as the bamboo in these bikes. Project Aluboo combines the bamboo with aircraft-grade aluminium to create lightweight and high-performance bicycles which can deeply reduce the vibrations and harsh ride of any terrain. 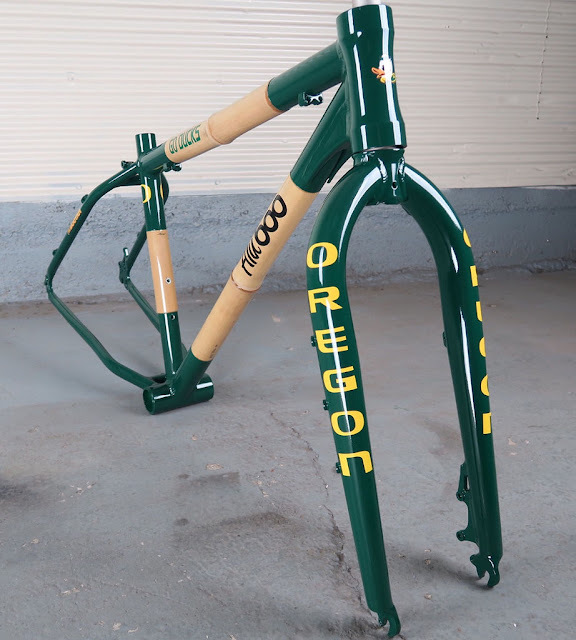 The Aluboo series bikes are all custom made by hand. 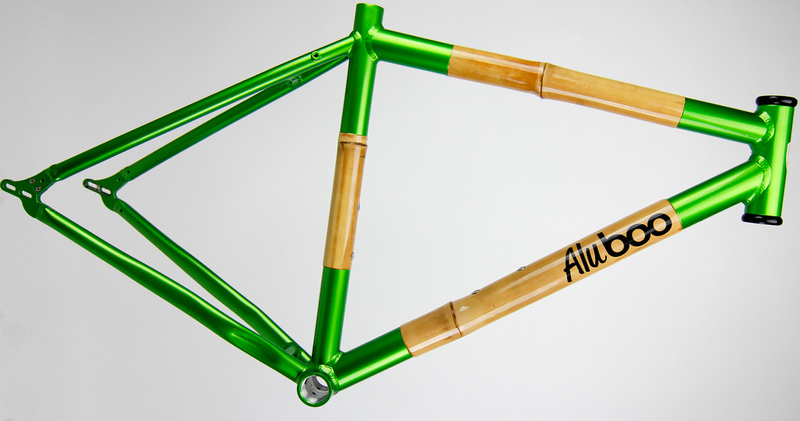 It takes about 40 to 50 hours to create the frame from a combination of bamboo and aluminium. Tube-to-tube construction technique is used in fitting the two materials. The bamboo is then bound with unidirectional carbon fibre. Finally, the aluminium lugs are hand-welded and polished before becoming road-ready. We know what you are thinking. These bikes must come at a steep price. Indeed, they are. 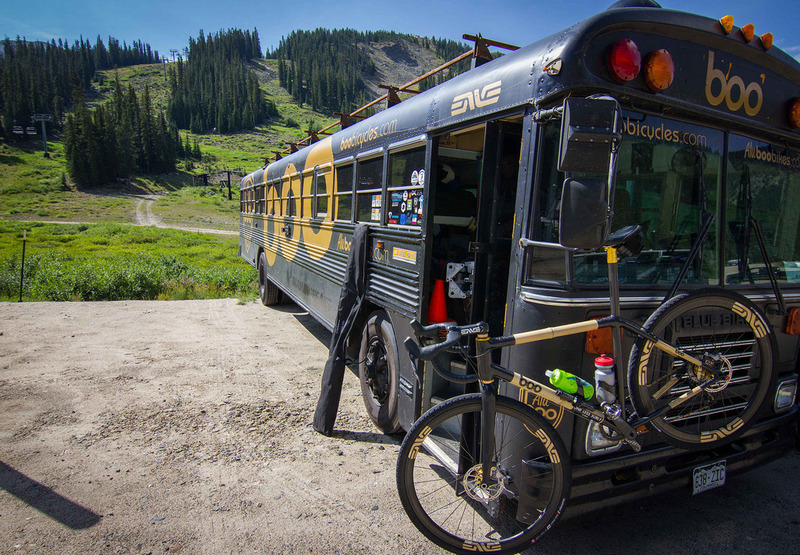 The Aluboo Commuter costs around $2,200, but that’s a cost one has to pay for highly personalised bikes with premium materials for the ultimate riding experience. Aluminium combined with Tam Vong delivers a uniquely innovative solution to something as mundane as commuting. Also, it is a head-turner all the way through!